The ultraRendu is the next model up from our award-winning microRendu. The ultraRendu has all the same features as the microRendu and more. With the ultraRendu, you will get improved sound quality from your DAC. The ultraRendu utilizes redesigned proprietary printed circuit technology with only the essential components. The ultraRendu is small and lightweight. 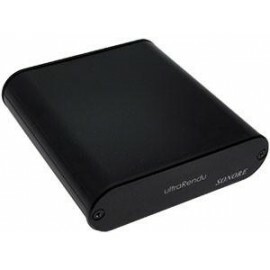 The ultraRendu is easy to configure and can accept audio streams from several digital sources. What makes the ultraRendu different from a typical computer music server is that it's a purpose-built audiophile device. The problem with computer music servers is that they all rely on mass-produced motherboards designed for general purpose computing and are built to the lowest possible price point. The ultraRendu solves this problem by removing the consumer grade computer peripherals and optimizing power supplies where necessary. The ultraRendu has been specifically built for processing USB audio perfectly. 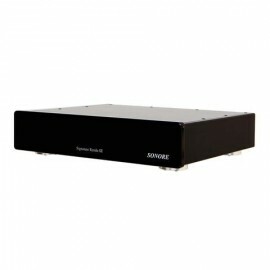 You can also combine the ultraRendu with an audiophile-grade linear power supply to achieve the lowest possible noise floor. The ultraRendu turns your USB DAC into a Roon Ready network DAC. Have a SPDIF input on your DAC? 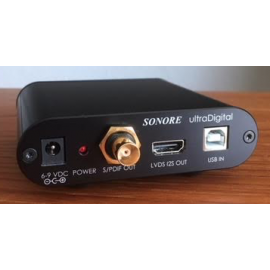 Add a USB to SPDIF converter to your ultraRendu order. No keyboard or monitor needed. A plug-n-play Roon Player. Access your ultraRendu with a web browser from your tablet. Power input: 6-9 VDC at 1 Amp min. The ultraRendu is the next model up from our award-winning microRendu. The ultraRendu has all the same features as the microRendu and more. With the ultraRendu, you will get i..